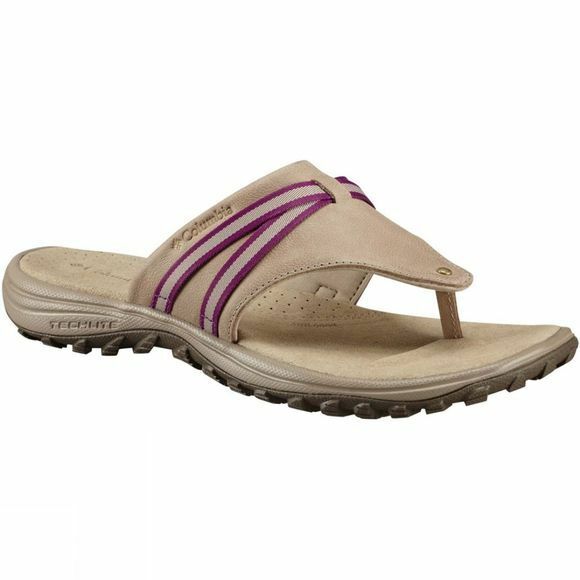 On or off road, the Womens Santiam Flip Sandal from Columbia provide the ultimate blend of relaxation, style and durability for easy walking. 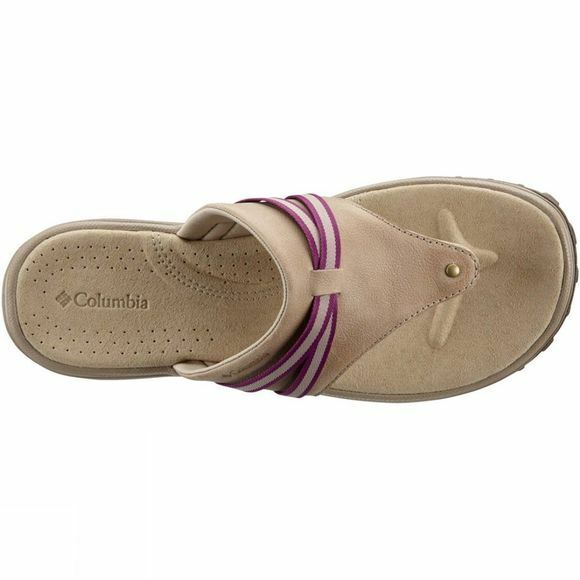 The sturdy upper combines full-grain leather, textile and webbing. The lightweight Techlite midsole delivers long-lasting comfort with superior cushioning, while the rubber outsole offers stability.